Do you know what, You can earn real cash just by using some Android apps? You will have to just complete some little tasks to get paid. 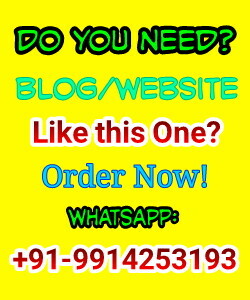 I am writing in this about that Ten amazing apps which can be easily used on smartphones to earn money. I will add the description of each app and also mention the download link below the every post to make it easy to download and access. Most of apps will pay you directly in your Paypal accounts and you can easily cash that earnings easily in your local currencies. You can earn points for checking in to a grocery store, cafe or shopping mall, scanning the items that you buy during these errands or even when you recommend a friend to join CheckPoints. The earned points can then be redeemed for rewards like Amazon.com and Walmart gift cards, games, cool gadgets and more. Preview trailers about apps and earn points while you’re at it. Help the app makers improve their app trailers by sharing honest opinions about what they need to add to complete the trailer. You get paid half a cent for each video you watch. For trying out an app, you can get paid between 9 cents to a dollar. Major political campaigns, 500 fortune campanies and trials you see in the headlines everyday needs humble opinions from their users. This app pays users for the same that is for participating in giving valuable opinions. You can ean $0.25 to $5 for a single opinion, normally it pays $1. Play games, watch videos, complete surveys and invite your friends to join JunoWallet. You can earn in the form of giftcards for games, pizza, coffee, movie tickets and more. There are a lot of different apps in the Perk universe: Perk Shopping, Perk Search, Perk Screen, Perk Browser, Perk TV and Perk Pop Quiz. Each offers function along with a small reward for using it. Search using Perk and you’ll get a few points. Watch an ad on Perk TV and you’ll get a few more. Buy something on 1-800-Flowers and other similar retailers via the Perk Shopping app and you’ll earn a ton. Earn up to 40 percent cash back every time you shop online at one of 1,800 participating retailers. Plus, you can earn up to $50 for referring two friends. Simply download the app on your Android device. Payments are made every three months by paper check or PayPal, or you can have your money sent to a charity, organization or family member. In the form of cashback. This Android app shows you popular products and rewards at popular retailers and gives you kicks (points) for walking in the door, more for scanning items and even more for making purchases. Most rewards are worth 250 kicks, and 500 kicks equals $2. Create an account to set up your profile and then you're ready to start. Take photos of what is asked in your assignment: your lunch, your drink, or the shoes you are wearing, and earn money for each snap. Share a comment about the snapshot (if you got a feedback you want the manufacturer the know, this is your chance), and that’s it. The app gives you Google Play reward points but not cash, which you can redeem only on Google services like downloading Android Apps, Music, Movies, Books, etc. from the Play store. Every week you need to predict the winner of a sports competition, and the person with correct predictions wins a grand prize. Compete in the streak prediction to win over $1.2 million in yearly prizes. All the above given apps will surely make you earn some money. Give a try to given apps and also share your experiences here with us using our comment box. 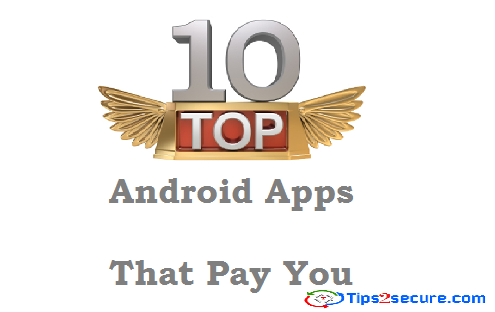 Message: I hope that you have enjoyed 'Top 10 Android Apps That Pay You Money' article. However, if you want me to deliver more items, then please share my post. You can use Social Sharing Widget provided at the end of every post. After all, Sharing is Caring! Thanks for sharing. Didn't heard about any of them before. Just give try and and share your experiences here. Some of these apps are not available in INDIA. These Apps are for Worldwide users so you can choose only those apps that are working fine in your country.